On my profile, I ask people to send pictures of things they like and to explain why they like it. Very few people ever take up the challenge (I wish more would!) 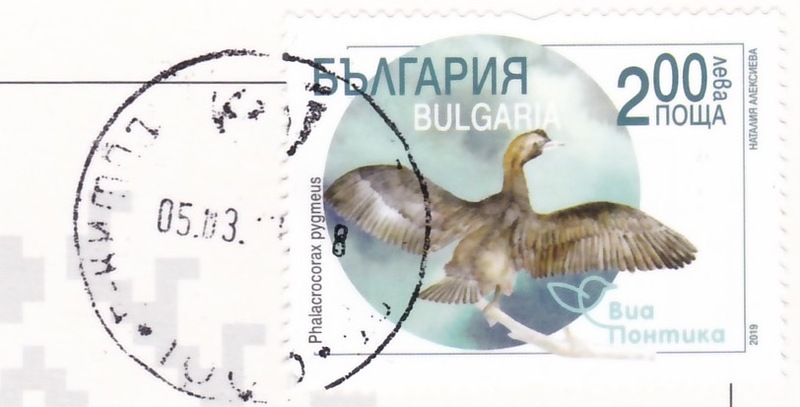 but Irina in Bulgaria did. She wrote a lovely bit about the card and it really made my day. 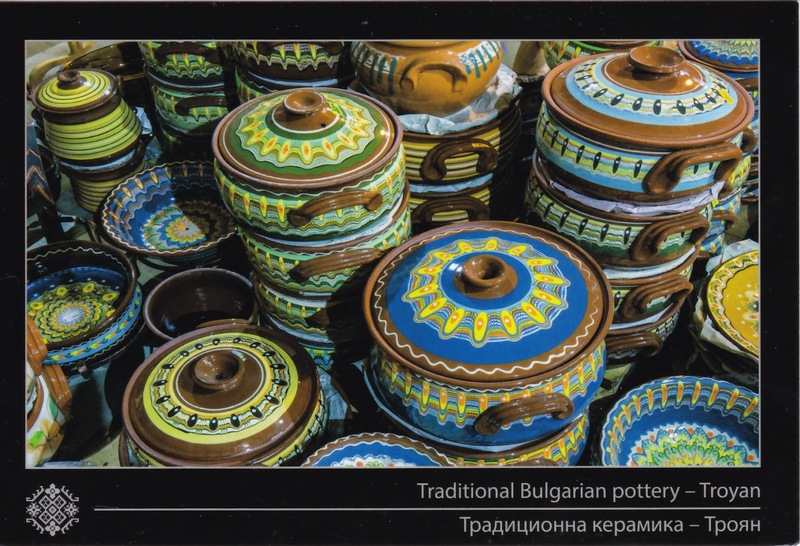 Dear Helen, for your collection I've chosen this card because I like this pottery a lot! It's rather heavy though and I only buy plates sometimes - I like different cups and plates on my table - so I stopped buying sets long ago :) I'm originally Russian, live in Sofia, fond of art & my two grown ups. I like the stamp too. 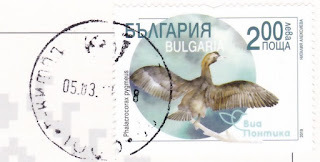 I don't receive a lot of cards from Bulgaria so this was a lovely Postcrossing.